Hey everyone! 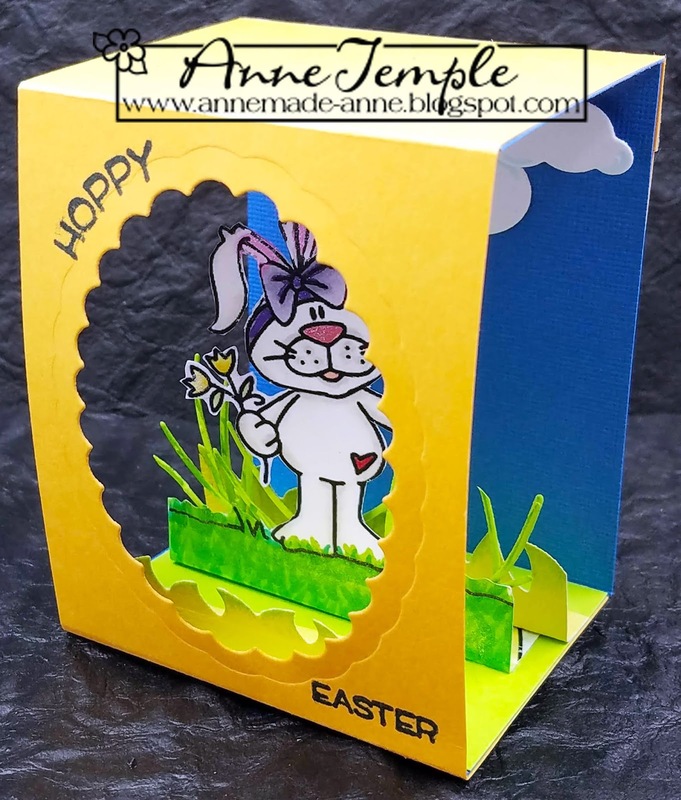 It's time for a new Scrapy Land Challenge and since Easter is this coming Sunday, I decided to create a shadow box card for the occasion. The theme is always Anything Goes using any brand of die that Scrapy Land sells. 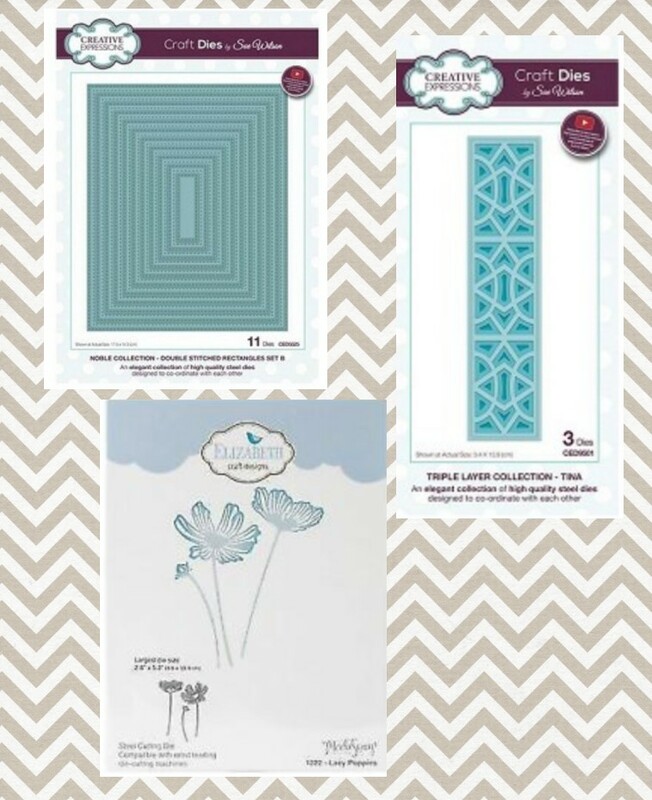 Two winners will each receive a $10 gift certificate to go shopping at Scrapy Land. Although I love the Lawn Fawn Shadow Box card die, I wanted to change it up just a little bit...so I flipped it on its side and made it vertical instead of horizontal. This also allowed me to use this taller image as well. Adhere the shadow box as you normally would. Be sure to die cut the opening and stamp your sentiment before gluing the last tab into place to create the box. The main difference between a horizontal shadow box and my vertical shadow box is where you create your tabs. 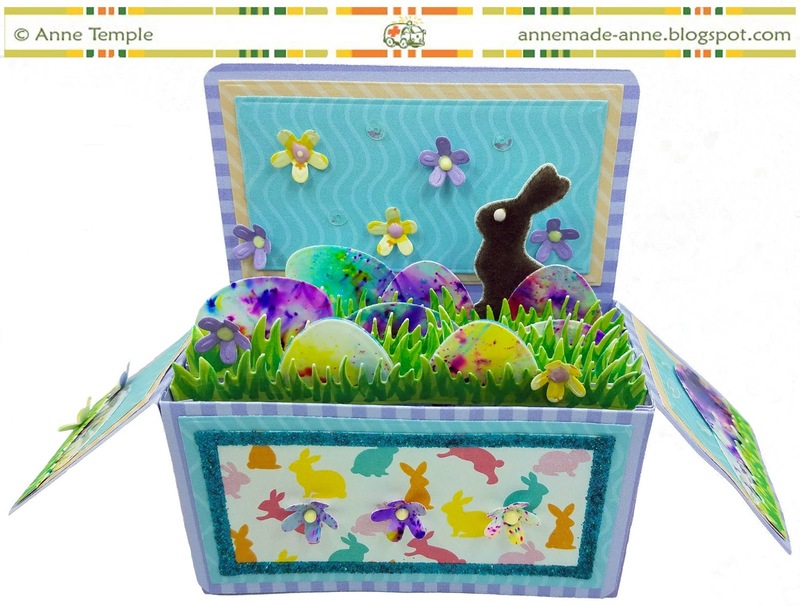 For the traditional shadow box, the tabs to adhere the die cut to the shadow box are located on the sides. For my vertical shadow box, I created a tab at the bottom of each piece by scoring and then folding. 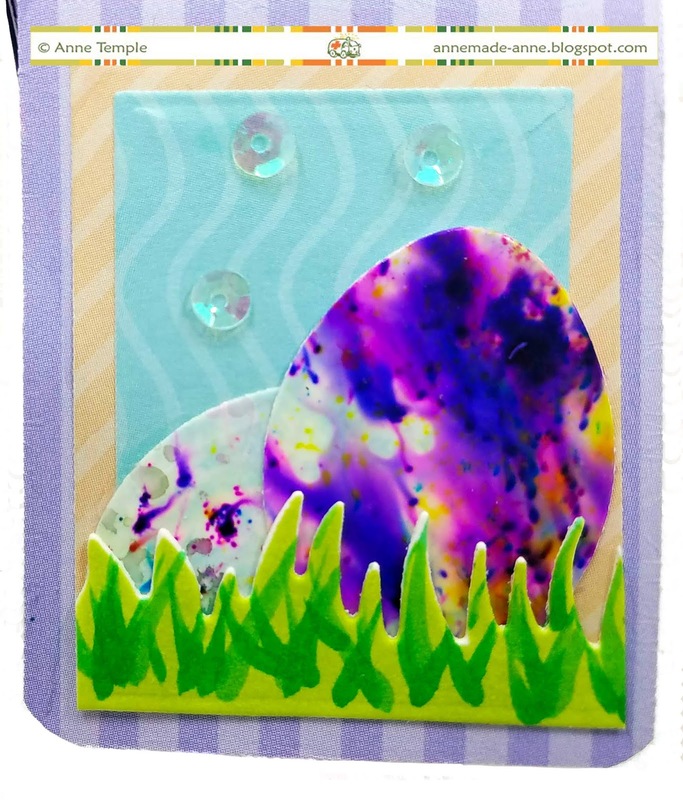 Instead of using the oval that came with the die set, I used a scalloped oval instead. The grass dies were die cut from green cardstock and then highlighted with some Distress Oxides. The digi image was colored with Copic markers and I added some Spectrum Noir Sparkle markers here and there. Now it's your turn to join us for the Scrapy Land Challenge. You have until April 28 to enter and have a chance of winning one of the two prizes to Scrapy Land. 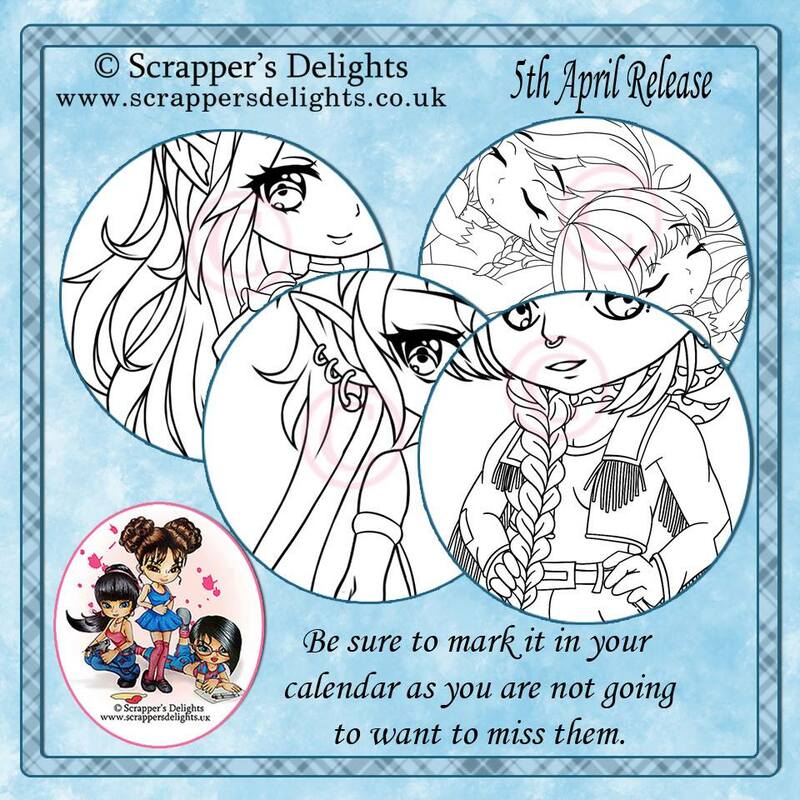 Hey everyone, I have a new project to share with you from Scrapper's Delights. 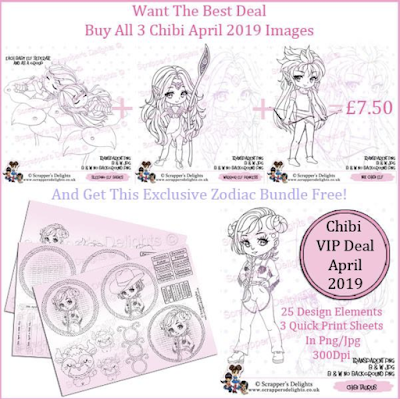 It's from the Chibi New Release and you can only get the Zodiac images if you get the Chibi Taurus VIP Deal. 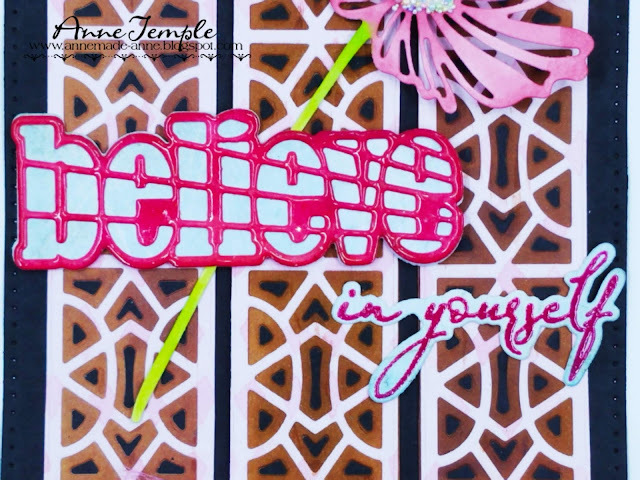 I had so much fun with these digi images that I created two cards. 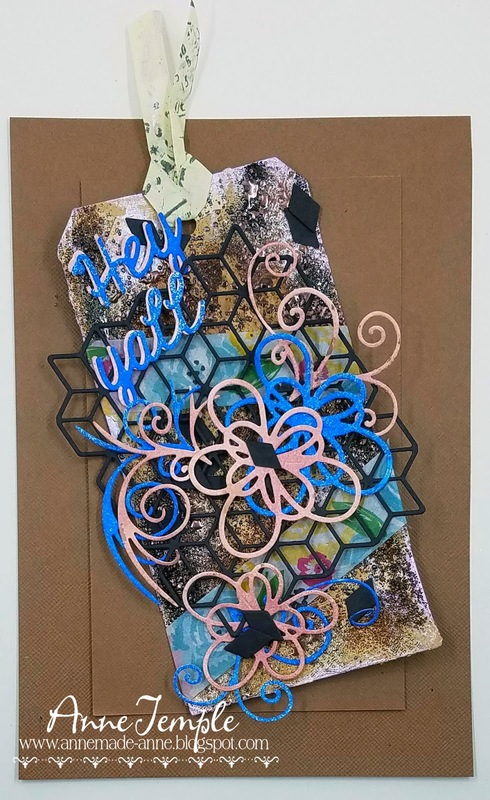 The first one, above, is a mixed media project that has a more masculine feel to it. I combined several images from the digi set and colored everything with Copic markers. 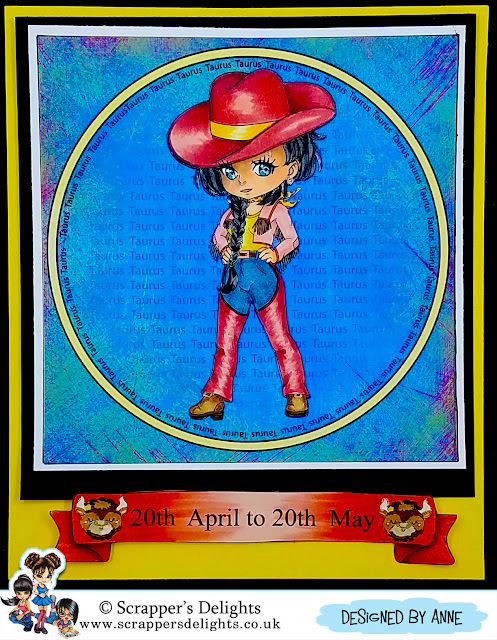 My second project also uses multiple images from the digi file, but my focal point is the Cowgirl. 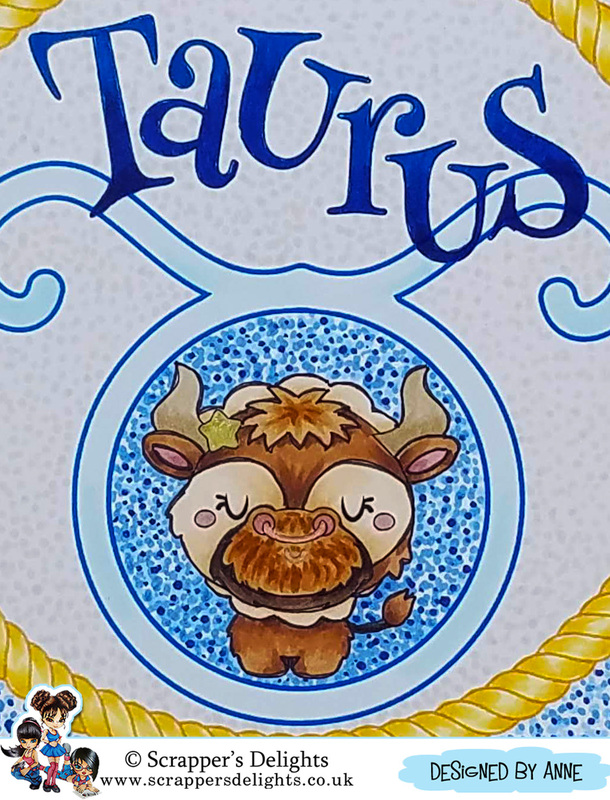 She's also colored with Copics, as is the fussy cut banner below the focal point. 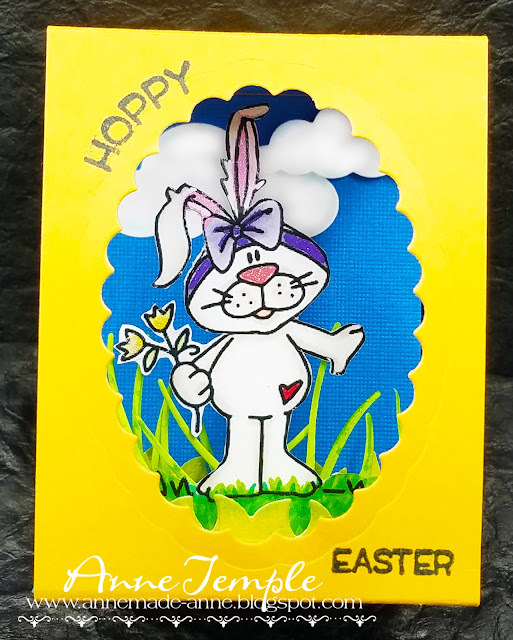 Be sure to check out what the rest of the team created on the Scrapper's Delights Inspiration Blog and join our Facebook Fan Page as well. 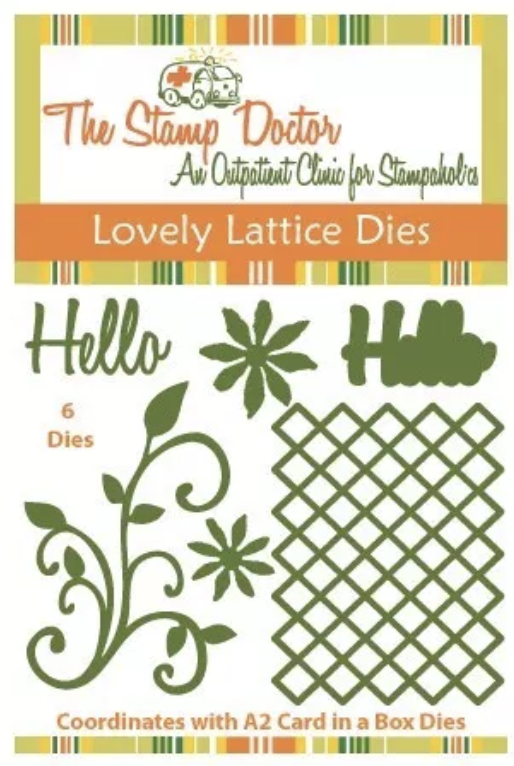 I have a sweet card to share with you featuring The Stamp Doctor dies. I used the Bear/Bunny Paper Piecing Dies Combo set. 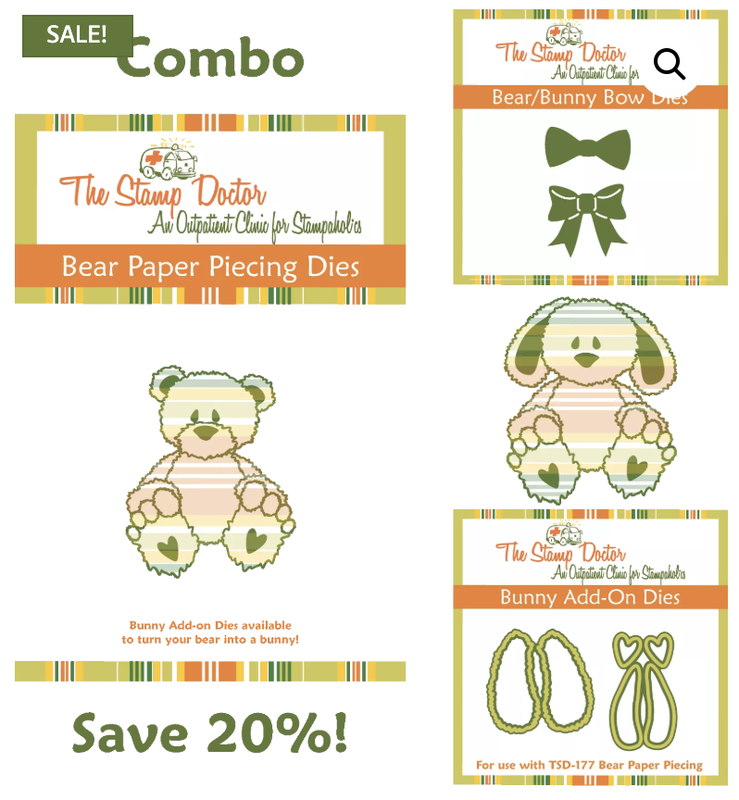 This includes the Bear (main die), the Bunny Add-On, and the Bear/Bunny Bow Dies. You can get these individually or as a combo and I highly recommend the combo. You could also rearrange the bunny ears and make him look like a puppy dog. As you can see, this is a pretty versatile set! Lovely Lattice Dies were also used to complete my card. 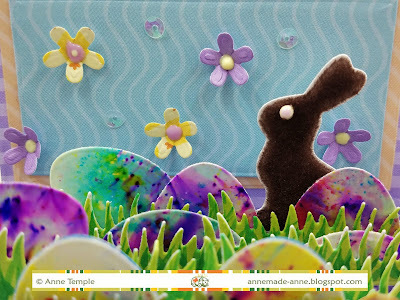 For the bunny, I die cut patterned paper and added flock to his ears and nose and glitter to his toes and hearts on his feet. The snout is pop dotted and so are the tops of his big feet. The set comes with feet (see the bear), but I thought the large part of his ears looked like big floppy feet, so that's what I went with and just added the toes. The bear was die cut using double sided adhesive that was backed with white cardstock. Once I had all the pieces, I began to add different colors of flock to each piece. I added glitter to his toes, his bow, and the hearts. His snout and feet are also pop dotted for added dimension. He's so soft and fuzzy, just like a real teddy bear! 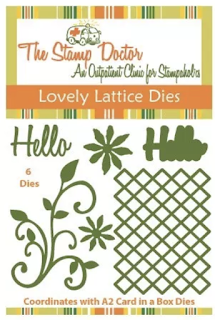 The lattice and double Hello (shadow and main word) come from the Lovely Lattice Dies set. 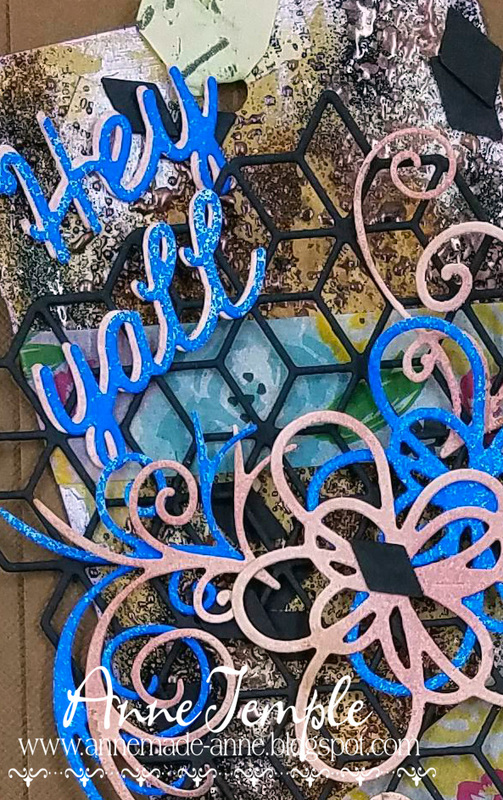 I die cut the lattice twice to add behind each of my images and added Copic markers to the main part of "Hello" to give it an ombre look. 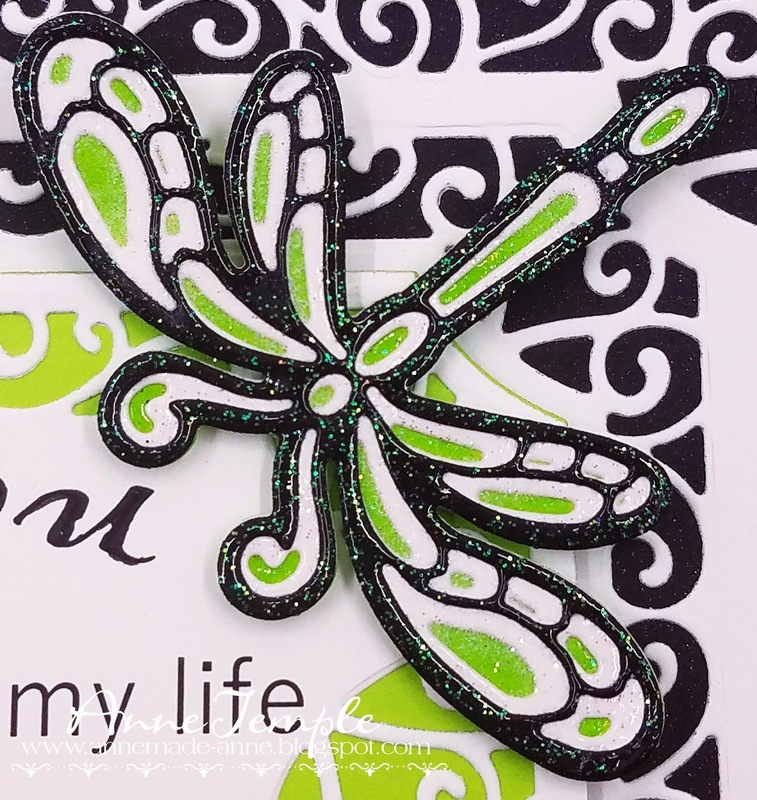 I added a few sequins and a double bow to finish off my card. Hey everyone, I am so excited for today's project because I have some news to share with you. 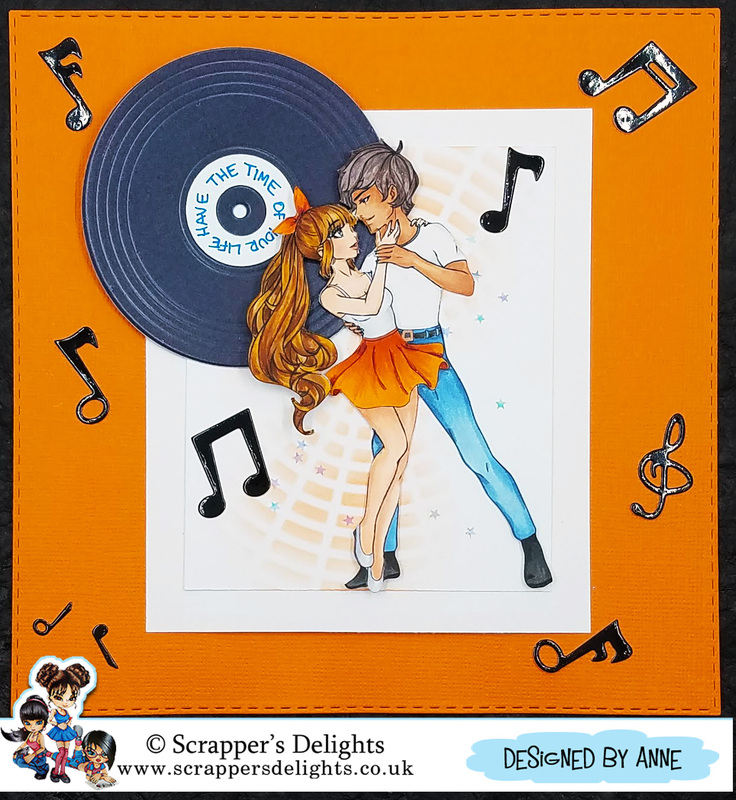 I am the new Team Leader for the Anime New Releases by Scrapper's Delights and today's project features one of the new anime releases called Anime Rock and Roll. 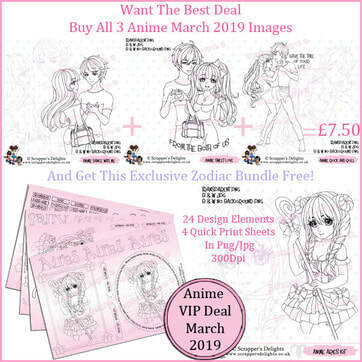 You can get the images individually, but the best way is to get the Anime VIP Deal. 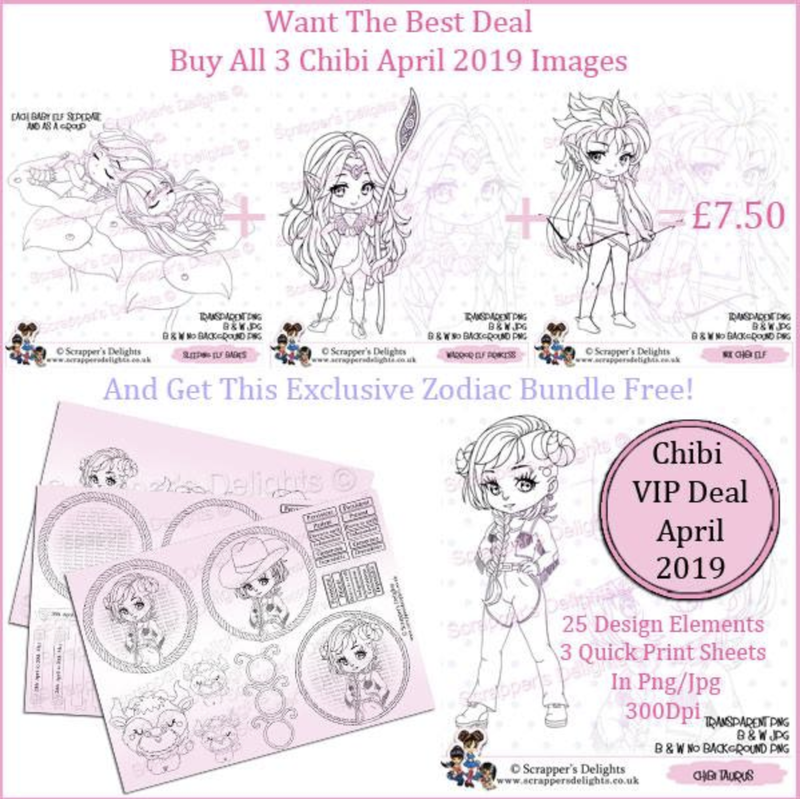 Not only do you receive all three of new releases, you also receive the Zodiac Kit for free! This month's Zodiac sign is Aries. There are two new releases each month, the Chibi New Release is the first Friday of the month and the Anime New Release is the last Friday of every month. 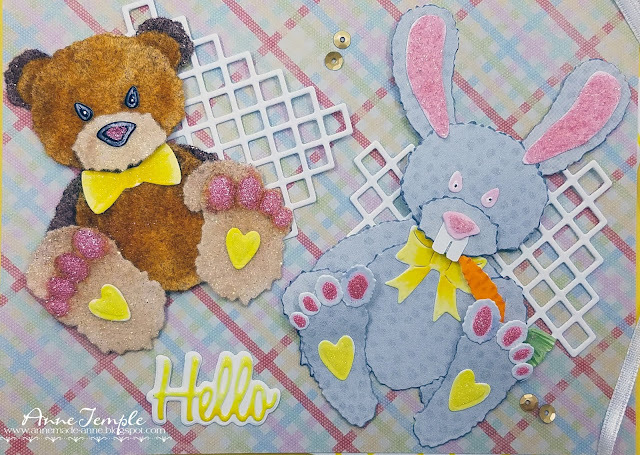 You can also get lots of inspiration and check out what the rest of the team created on the Scrapper's Delights Inspiration Blog. 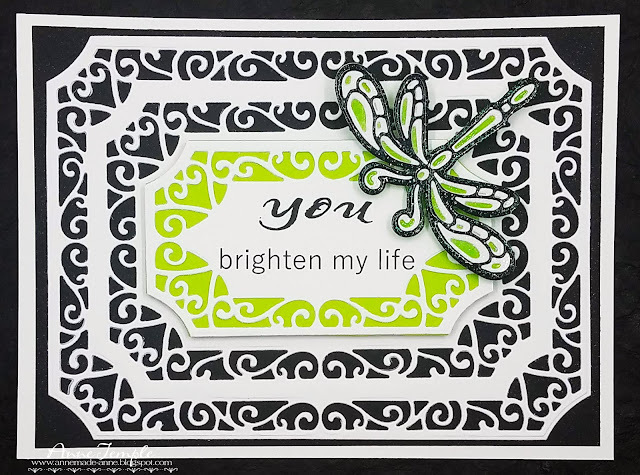 I had so much fun creating this card and had just purchased the perfect dies and stencils to go with this image (quite by happenstance). 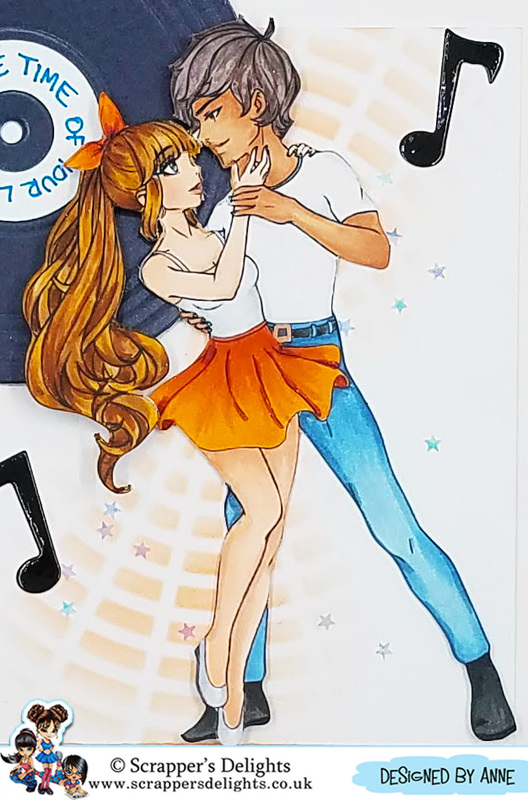 This cute image was colored with Copic markers and then fussy cut out so the record would show through in the background. 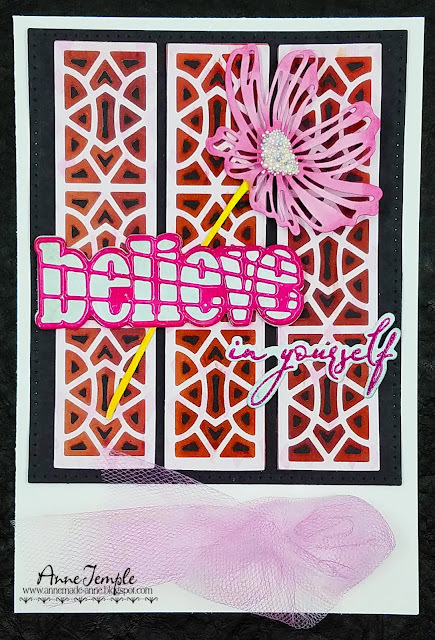 The first layer was created using white cardstock, a stencil from Sugar Pea Designs (Concentric Circles) and VersaFine Claire ink (Summertime). This was then layered on top of another piece of white cardstock and finally onto the orange card base. 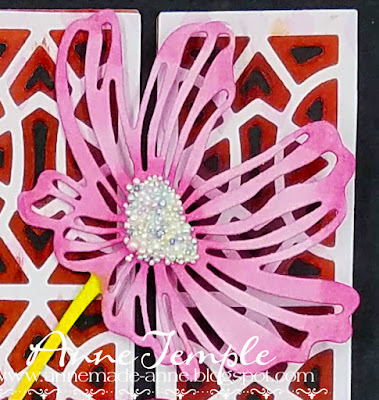 The card base was die cut using a Sue Wilson Designs die (Shadow Box Collection-Stitched Square Peg Board). Next I die cut the record from a My Favorite Things (For the Record) die and wrote the sentiment on the record label. 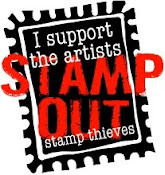 This sentiment does come with the image, but used it a bit differently. I also die cut some music notes out of black mirror cardstock from an older die by Die-Versions (Harmony). I added a bit of confetti and pop dotted the girl's pony tail for added depth. And finally, here is a sneak peek of the April 5 release. 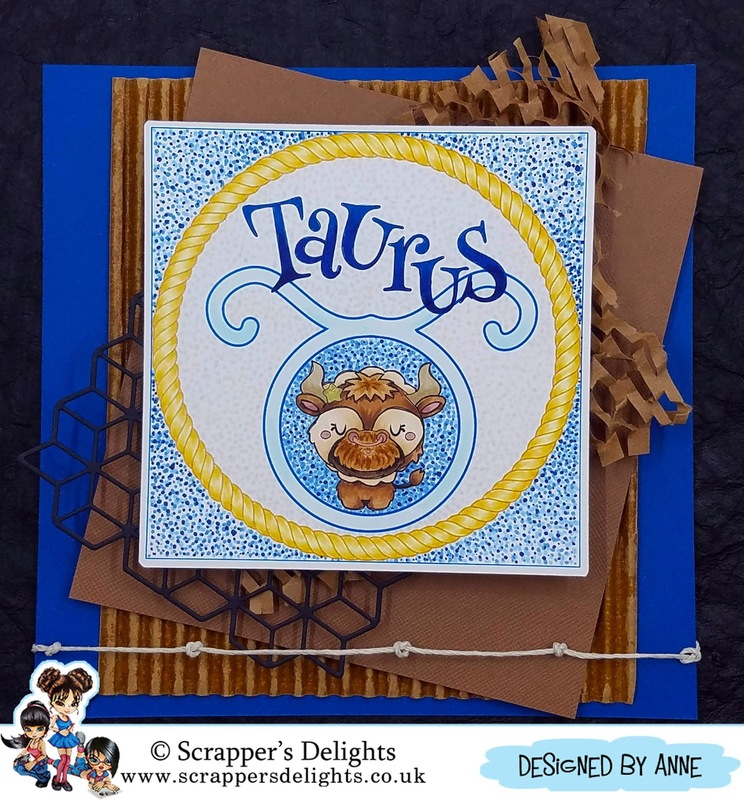 Be sure to check out the Scrapper's Delights store and join the Facebook Fan Page Progressive Freebie Challenge (just ask to join) and the monthly Challenge Blog. Hey everyone, it's the third Wednesday of the month....and you know what that means 😉. A brand new Scrapy Land Challenge begins today! The theme is always anything goes using any brand of die that Scrapy Land sells. 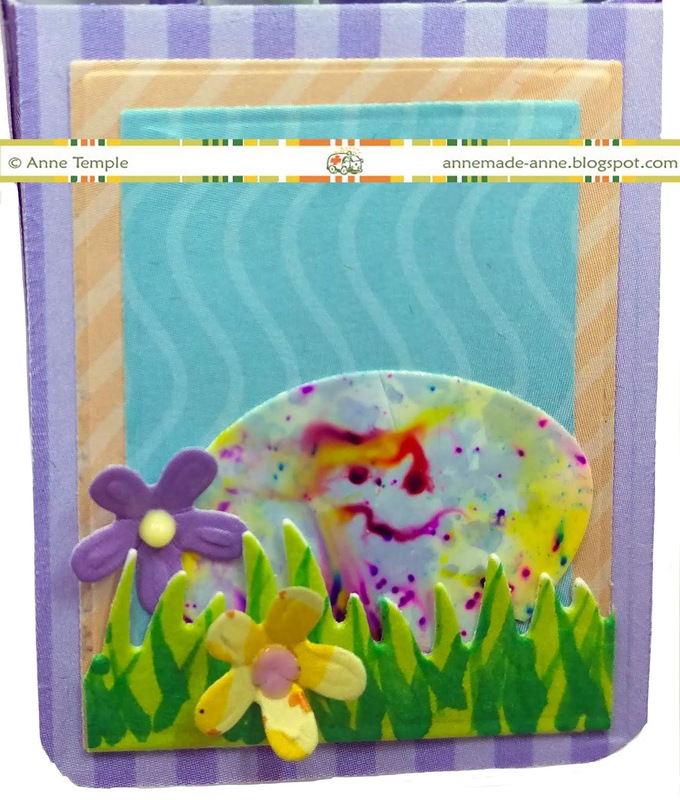 I had so much fun using the Triple Layer die that I made a whole bunch of different color combinations. For today's project, I decided to go with pink, chocolate, black, and a touch of light blue. (I saw this color combo on a purse and loved the way it looked). The "believe" and the stamp/die "in yourself" are from the Tonic Studios subscription kit #19, but any type of sentiment will work. 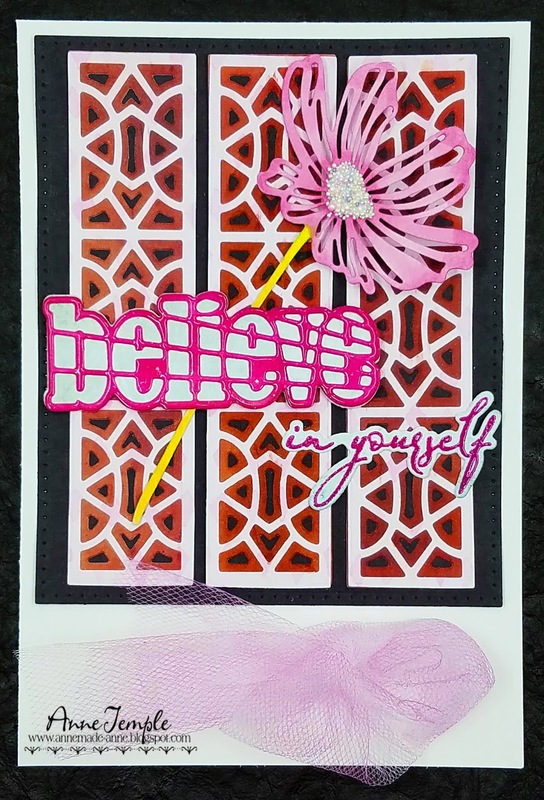 I used VersaFine Clair (Charming Pink) for the stamped sentiment and I added the same ink to white cardstock to die cut the pink part of the believe. 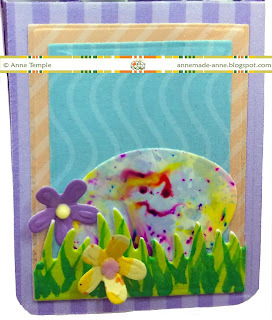 I also heat embossed it with clear embossing powder before adhering it to the shadow base. 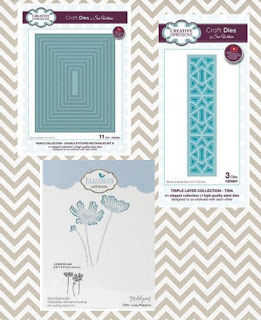 The poppy is one of three dies from the Elizabeth Craft Designs set and they are quite large. This is the largest of the three dies and it is a little over 2 1/2" wide and a bit over 5" long. I die cut this from white cardstock, colored it with Copic markers, and added some Prills (Sweet Shop) to the center. As a finishing touch, I added a piece of tulle that I also colored pink with the Charming Pink ink. Now it's your turn to join us. You have until March 31 to upload your project to the Scrapy Land Challenge. 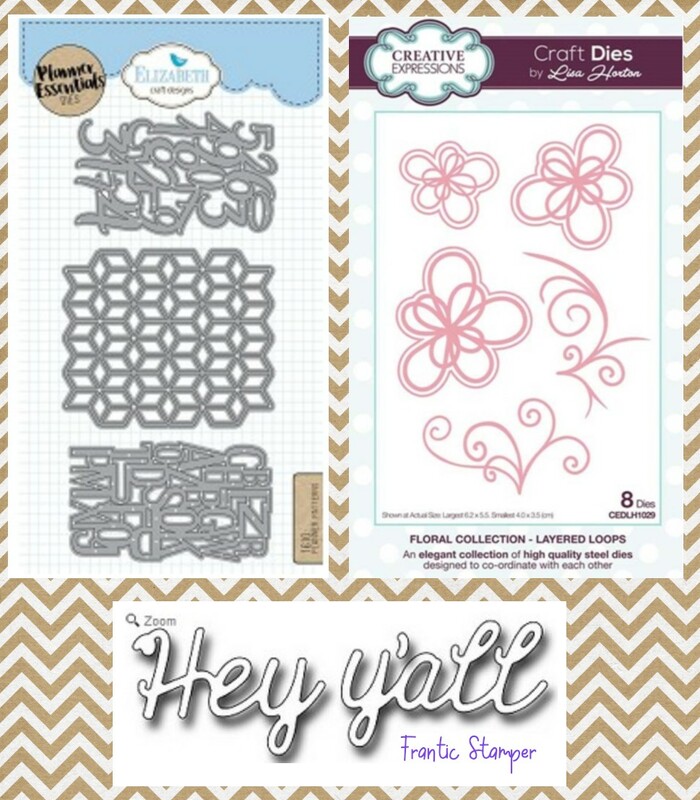 We love seeing everything from CAS, layouts, mixed media, planners, and anything else you can think of as long as it includes at least one brand of die that Scrapy Land sells. Hey Y'all, it's the first Wednesday of the month and that means it's time for a brand new Scrapy Land Challenge. The theme is always Anything Goes using any brand of die that Scrapy Land sells. 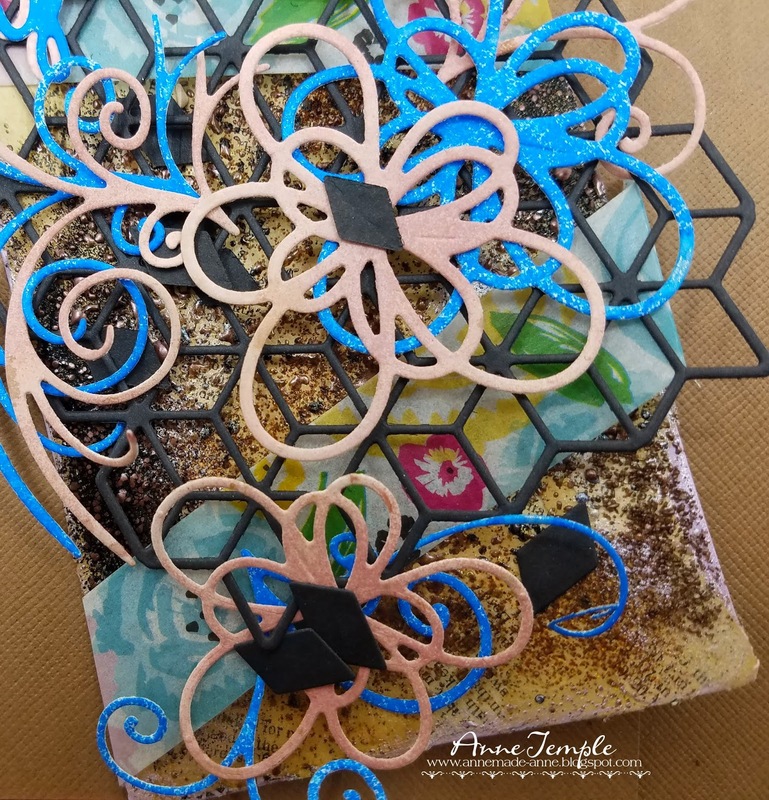 In addition to the dies, lots of embossing powders, washi tape, vintage book pages, Nuvo Embellishment Mousse, Nuvo Mica Mists, and Distress Inks were added to the tag. I just kept adding and adding until I was happy with the results. 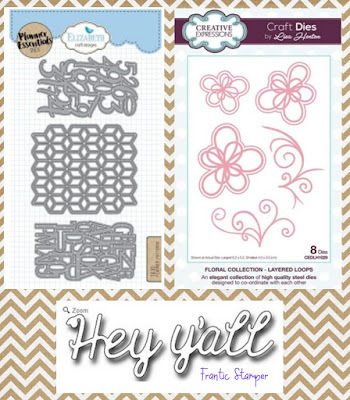 I even added a few of the negative pieces from the Planner Patterns die cut. That's the beauty of a mixed media project - you can just keep adding various mediums to create something uniquely yours! Once everything was adhered to the tag, I added the completed tag to the card base. Now I have plenty of room on the inside to add my message to the recipient. Scrapy Land is also having a new Design Team Call. 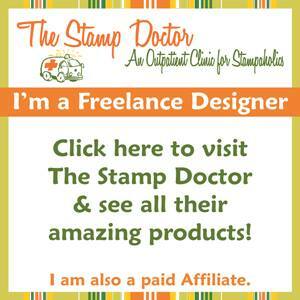 You can find out all the details here. Looking forward to seeing all your amazing projects. Best of luck to everyone who is interested in joining our team! Now it's your turn😀. You have until March 17th to play along with the Scrapy Land Challenge #109 and have a chance to win one of two $10 gift certificates from Scrapy Land. We can't wait to see what you create! I have a fun Easter project to share with you today. All the dies are from The Stamp Doctor and this was so fun to create. 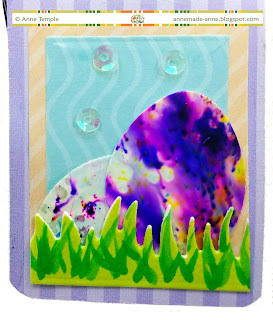 After putting together the Card In A Box #2 using Tonic Studios Craft Perfect Patterned papers, I set about getting all my Easter eggs ready. 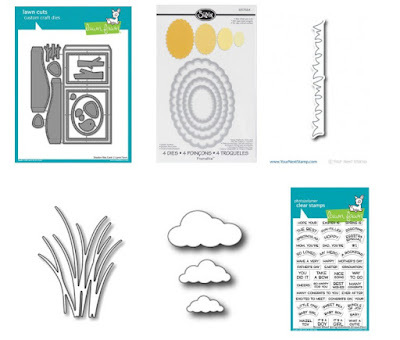 Sometime back, I published a post outlining where I experimented with photo paper and Nuvo Shimmer Powders and I made a bunch of samples. I wanted the Easter eggs to be on the glossy side, but not too glossy. I had several pieces from my experiment that would be perfect for colored Easter eggs. 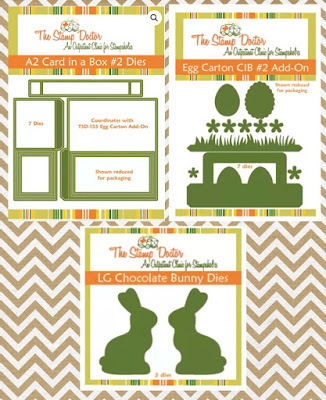 The Large Chocolate Bunny was die cut from a piece of double sided adhesive adhered to a scrap of white cardstock. After exposing the adhesive on the front of the bunny, I covered him with Dark Chocolate Flock. Then I added Nuvo Crystal Drops (Buttermilk, Sweet Lilac) for his eye. A few Nuvo sequins and glitter around the front panel (Tonic Studios Pure Sheen Glitter - Turquoise) add the finishing touches. 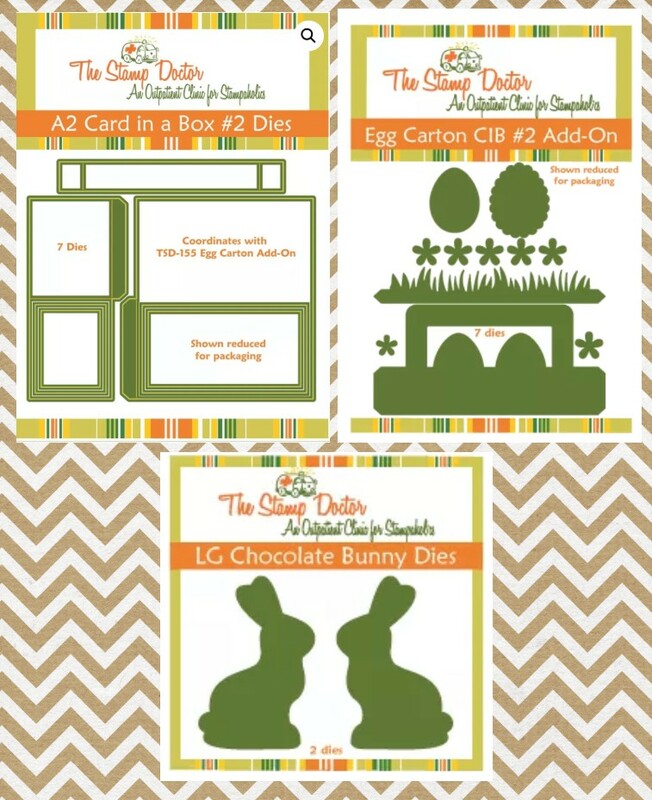 I love using the Card In A Box #2 die set because it's so versatile and can be used for any theme. I envision using it for lots more projects in the future 😀.